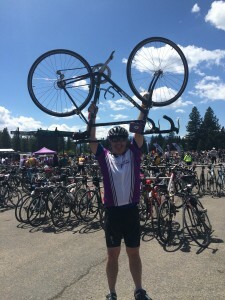 On Friday, June 5, on my way up to Lake Tahoe for my 6th ride in 6 years of 100 miles with Team in Training for the Leukemia & Lymphoma Society, I noted as I wrote “Cured,” that it was National Donut Day. I also pointed out that part 2 of the Powdered Donut Manifesto did not quite feel ready. It simply wasn’t time for the manifesto to continue. 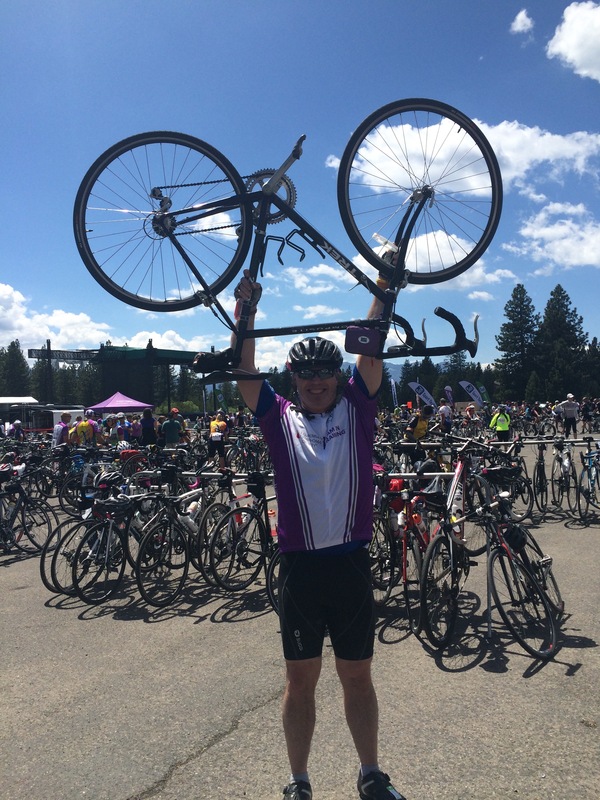 On Monday morning, after the ride on Sunday, as I walked around Heavenly Village in South Lake Tahoe, I realized why part 2 of the manifesto was not yet ready to be written. Before I share that reason, though, I need to talk a little bit about why Lake Tahoe is such spiritual and sacred ground. Six years ago, on the first Sunday in June in 2010, I came to Lake Tahoe for the second time in my life. The first time I came to Lake Tahoe was in the late 1980s, before I had met Maureen at the Apple office in Chicago. I had joined Apple in 1987, after graduating Northwestern University, and was part of an incredibly cool job called the Field Sales Associate. This FSA position was created by Bill Campbell, then VP of Sales and Marketing for John Sculley. Bill would later return to Apple and become its chairman, along with Intuit’s CEO and Chairman. I was privileged to speak with Bill recently and thank him for what this position meant to my career and my life. The FSA position was unbelievably cool. It was an 18-month new graduate management training position. There were three of us in the first “class” in 1987, one from the west; one from the central US; and one from the east. Over the course of these 18 months, we each followed our own tracks, with a number of shared experiences. From spending a few weeks to a month in each of Apple’s sales channels at the time, which included K12, Higher Ed, State & Local Government and the Dealer channel to working in a support center to even driving a fork lift to put computers on trucks, we got a chance to do a little of everything. It was amazing. Our shared experiences would occasionally bring the three of us together in Cupertino at Apple’s headquarters. On one such trip, we were in California for two weeks, with a weekend in between. It was in late winter, so skiing was still a possibility, and the three of us decided to rent a place in Lake Tahoe and go skiing in Heavenly. Well, I say skiing. I’m really not so sure that what I did would be by definition, skiing. The toddlers and kids on the “bunny hill” at Heavenly were doing a far better job than I was at this process of gliding over snow. I think I ate more snow than I skied over! That trip to Lake Tahoe was in early 1988. 22 years later, I came back to the same spot to ride my bike for the first time with Team in Training. I sat underneath the gondolas at Heavenly from my skiing trip so many years earlier, feeling a deep sense of deja vu. Actually, timelessness might be an even better word. I was brought to Team in Training and those gondolas by a little boy named Kethan. I tell of my story with Kethan in many places, but this special video from the Leukemia and Lymphoma Society (LLS) tells his story in a way I can not, because it tells of his story and his magnificent mother and father. I had recently become Man of the Year for LLS in a fundraising campaign earlier that year, and so when I met Kethan that fall, I knew I needed to do something more. Kethan was in 1st grade at St. Andrew’s with my daughter, and he was undergoing treatment for pediatric ALL, a form of blood cancer. The divine moment that happened this morning all traces back to this little boy, and my desire to climb back on my bike after many years of not riding, because I needed to do something. I wanted to take action. I wanted to do my “one thing” as I talked about in Part 1 of the Powdered Donut Manifesto. For six years, I have had the privilege of doing this “one thing,” riding my bike, first in honor of Kethan and for the last two years, in memory of this magical “little man,” as his mom calls him. Fortunately, I am far better at cycling, than I am skiing! This year was also the first time I rode in memory of my beautiful bride of 24 years, my precious Maureen. I knew this weekend would be an emotional one. As I posted on Facebook just before the ride, “we ride with angels in the wind and love in our hearts.” As has so often been the case since Maureen’s passing, I have felt the presence of my angel and the love of my life. Waiting at the airport in Austin for my flight on Friday morning, my angel spoke for the first time heading into this journey to Lake Tahoe. I was listening to Enya radio via iTunes Radio, and a song, “Though Lovers Be Lost,” started to play. It is by Anael, meaning Angel. I am listening to it now, as I type. The words resonate. “Love shall always remain. I love you, and I am near you.” Over the course of the weekend and the ride, I came to understand that though my lover be lost, she is indeed near me. On Saturday night, after dinner, after honoring one of our recently fallen riders, Tom, my team also honored Maureen with powdered donuts, and I told the story of love that the powder represents. 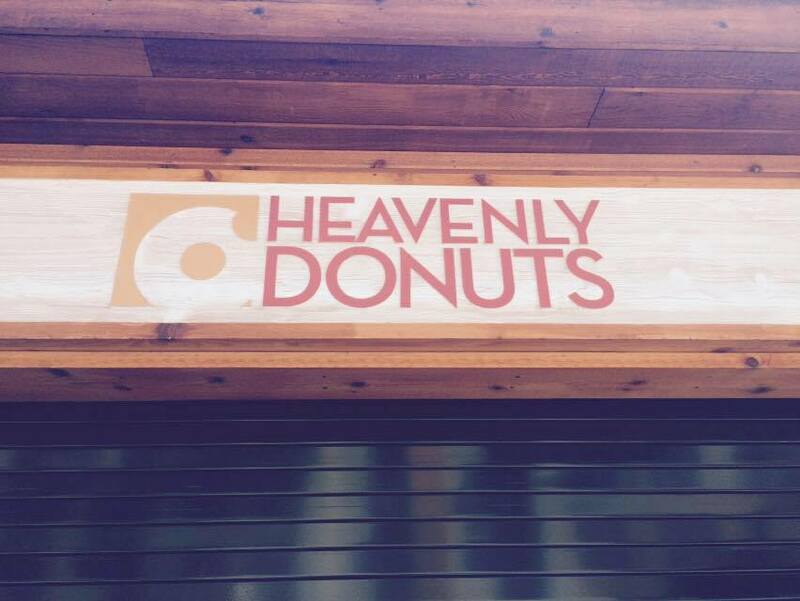 Over the last several months of powdered donut days, the 21st of each month, I’ve always wondered, “does my crazy girl in heaven know what I am up to? Does she know what that powdered donut from the weekend from before her passing has become?” Maureen answered me this morning. She told me that she is always near me. My lover is not lost. For as I strolled again under the gondolas in the village, I not only felt that timelessness again, but I felt the distance between heaven and earth collapse. I looked up and saw this. I knew in that instant that she loved me, and she was near me. Today was clearly the day for part 2 of the manifesto. I also noticed something else about the Heavenly Donuts sign, which if you look again at the logo, you will see, too. There is a bite out of it. A bite in the top right corner. There is another logo with a bite out of it. It is this one, the Apple logo. Like the donut itself, life was coming full circle, just like our route around the lake itself the day before on our bikes. As I had said to Bill when I had the privilege of thanking him for the start to my journey, had it not been for the FSA position, I would never have met the love of my life, Maureen, at the Apple office in Chicago, and I would never have known a love that is heavenly.